A deaf man in Sydney, Australia is in the hospital after he was assaulted after picking up a pizza. The 20 year old is now in the hospital with internal lacerations to his liver. Police say the assailant kicked him in the stomach and stole the pizza. A Turkish court has sentenced a deaf man to more than 8 years in prison for having a slice of lemon with him when he was arrested. Prosecutors claimed the wedge of fruit proved Mehmet Tahir Ilhan was spreading propaganda on behalf of the Kurdistan Workers' Party. Ilhan was taken into custody during a demonstration and lemon can ease the effects of tear gas. His lawyer says he had just left a market and got caught in the demonstration by mistake. He was not involved in throwing stones or Molotov cocktails, the lawyer said. Ilhan is illiterate and works at a bazaar in the city of Mersin. A deaf student from Rochester Institute of Technology is crossing the country on a bike. Read the story here. "It is with great sadness that I must withdraw from the 2012 ESPN X Games, I am absolutely heartbroken that I will miss this year but I need to do what is right for my health and my future." The first deaf Moto X rider in history, she has won the Women's Motocross Association national championship twice and earned two X Games gold medals. She appeared on the Conan TV show last week and is a guest star in an upcoming series of episodes of ABC Family's Switched at Birth. The home field of the College World Series now is equipped with a loop system. The TD Ameritrade Park in Omaha, Nebraska offers the system at the ticket office and in some seating sections. The technology allows hearing aid users to get signals from a microphone sent right to their device. Read more about the induction-loop hearing system here. The system was installed for about $20,000 when the stadium was built, about a year ago. The NAD has announced it will meet next in Atlanta for its 52nd Biennial NAD Conference meeting. It will take place July 1-5, 2014. The National Association of the Deaf says the event will include College Bowl Finals, a youth competition, fireworks and a festival hosted by the Georgia Association of the Deaf. The 2012 NAD Conference takes place in a few days (July 3-7) in Louisville, Kentucky. Osmond Brothers performance to benefit local deaf children in Idaho. There's a video report from KIFI-TV below on DeafNewsToday.com or read the story here. WSOC-TV reports on a burglary of a deaf woman's house in Charlotte (with video) here. A Milwaukee girl says she's still scared after a bullet flew into her home. WDJT-TV has a video report, posted on DeafNewsToday.com or read the story here. The Kentucky Lions Youth Camp for deaf or hard of hearing children starts a week from today (July 2) in Lebanon Junction, Kentucky. It's free for boys and girls, ages 6 through 15, who are deaf or are hard of hearing and who live in Kentucky. For more information, click here. A look at Eastern Deaf Timberfest, a 4-day event held this year in Western Pennsylvania here. Gallaudet's new men's basketball coach is Brendan Stern. He played for the Bison as an undergrad before serving as an assistant coach for three years. He also coached the Lady Bison through one season, including All-NEAC third team Britny Latham. The team went 8-16 under Stern. He's taking the place of Jeb Barber, who compiled a 50-76 record in five seasons. Stern said, "It is a very exciting time to be a part of the Gallaudet men's basketball program. I want to thank Athletic Director Michael Weinstock for showing the confidence in me. I am grateful for this special opportunity and look forward to getting to work with our returning student-athletes, recruits and coaches so we can become the best we can be for the upcoming 2012-13 season." After graduating from Gally in 2006, Stern earned master degrees from American University and Catholic University of America and is now working on his Ph.D. in American Politics. He has been teaching American Politics at Gallaudet University for the past four years. 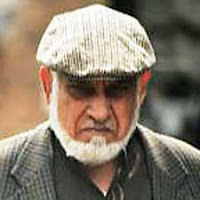 Trial Underway for Deaf "Slave Girl"
A man in his 80s denies he beat and raped a girl he kept in his cellar for a decade. Prosecutors in the UK say Ilyas Ashar treated the orphan from Pakistan as a slave since she was 10 years old. The unidentified girl has never attended school and is only able to sign her name - allegedly so that she could sign for government benefits. Ashar told the court he treated her as a daughter. He and his wife run a booth in a market and sell cars. A judge is refusing to dismiss an NAD suit against Netflix for putting closed-captioning on most of the videos it offers online. The video streaming company tried to get the lawsuit dismissed this week, claiming ADA only applies to physical stores, not to the Internet. Netflix argued that an FCC regulation that kicks in during 2014, requiring all American produced video to include captioning, supercedes ADA law. But the Massachusetts judge hearing the case said ADA applies to any venue, even the Internet because Congress "intended the ADA to adapt to changes in technology." A deaf man in St. Augustine is facing charges related to the sexual abuse of a disabled teen. Here's a video report from WTEV-TV (no captions). WAGA-TV in Atlanta takes a look at a basketball camp for the deaf in the video report posted below on DeafNewsToday.com.Or you can read the story here. Read about an ASL interpreted coffee tasting in Seattle here. Here's a video report from WJLA-TV about a deaf-blind camp near Annapolis or read the story here. The first deaf guest appeared on Conan Tuesday. Ashley Fiolek is a two-time women's Moto X Super X gold medalist. Her father served as her interpreter during the Conan interview. After practicing in the green room, Ashley said to her dad, "You have fun, too." She's recently been featured in a Vogue magazine article and is set to appear on ABC Family's Switched at Birth as a romantic love interest of one of the characters. Ashley returns to X Games competition next week at the Women's Moto X Racing competition (June 30 on ESPN). A video of her appearance on Conan is posted below. A deaf-blind teen gets the chance to fly a plane. WTEV-TV in Jacksonville, Florida has a video report posted on DeafNewsToday.com (no captioning). Joe Ronan is the newest volunteer firefighter in West Haven, Connecticut. WCCT-TV has a video report posted below on DeafNewsToday.com (no captions). You can read the story here. More than 100 new Physics and Engineering terms and definitions have been developed in British Sign Language by a research team from The Scottish Sensory Centre. Read about it here in an article from the Institutes of Physics. Students from the Florida School for the Deaf and Blind got to enjoy a day of surfing at Huguenot Park in Jacksonville. Watch the story below on DeafNewsToday.com from WTEV-TV (no captions). DeaFestival-Kentucky takes place July 7 at the Kentucky International Convention Center in Louisville right after the NAD meets. Read more about it here. The Austine School for the Deaf in Brattleboro, Vermont opened a history museum this past weekend. The Holton Hall Heritage Museum is located on the third floor of the historic brick structure, which was build 100 years ago when the school started with just 16 students. The hallways are lined with photographs and articles, hearing aids are on display along with sports uniforms, yearbooks and photographs. There's a new app for users of Thai sign language. The Thai SL App was developed by the Rajanagarindra Institute of Linguistics and Cultural Studies of Kasetsart University in Bangkok. It includes more than 1000 video clips of words in sign language, fingerspelling, a dictionary and some basic lessons. Find it at the Apple Store here. The Berkeley center for deaf students celebrates its alumni here. Read about a camp for kids in Goshen, Indiana organized by the College Mennonite Church here. The mother of a student at the Texas School for the Deaf wants her daughter's frequent flier miles - and is taking the school to court to get them. The school has been keeping points totaling some $30,000 each year when it flies students home to visit their parents on weekends. This pay for extras - like chaperones to fly with the students. The mother, identified in the suit as DG claims that's a violation of the Southwest Airlines policy. She's asking for financial compensation to make up for her emotional pain and loss of privacy. Deaf kids in the UK are missing out on learning to swim because of a lack of understanding about deafness, according to the National Deaf Children’s Society. Read the story here. A new film about the deaf debuts at a UK film fest this Friday (June 22). A Life Without Words will show at the Open City Docs Fest. A Life Without Words tells the story of Dulce Maria and her brother Francisco. Born deaf on a farm in Nicaragua, they have never been more than a few miles from their rural home. 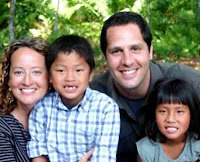 Their lives change when visited by a deaf sign language teacher. For more information, click here. A Muslim group is hoping to raise enough money to produce an ASL version of the Quran. The Global Deaf Muslim says it needs about $200 thousand dollars and two years to complete a video translation of the Quran that will include both American Sign Language as well as subtitles in American English. Started 7 years ago, the Global Deaf Muslim began raising funds, led by president Nashiru Abdulai who became deaf at the age of nine from meningitis. He's moving the effort into the centers of Islamic life, the mosques. Global Deaf Muslim solicited for funds a couple of weeks ago at the Prince George’s Muslim Association (located in a suburb of Washington, DC) and there are plans to visit other Mosques in Virginia, D.C. and Maryland in coming weeks. The Helen Keller Festival takes place in Tuscumbia, Alabama this Thursday to Sunday (June 21-24). For more information, click here. A deaf woman in the U.K. has become a expert on horses known around the world. Read the story here. The Business Convention and Expo of the Deaf comes to Orlando this Wednesday through Sunday (June 20-24). Find out more here. A new video single from deaf rapper Sean Forbes is out from his album Perfect Imperfection. Watch Def Deaf Girls below on DeafNewsToday.com. Students, faculty, and staff of Gallaudet University gathered for the opening of the new Metro station near the school in Washington, DC. The ribbon-cutting ceremony for the new Metro station on the red line officially introduced the new station new: NoMa-Gallaudet U Metro. NoMa stands for North of Massachusetts Avenue. The stop opened in eight years ago and was previously named New York Ave-Florida Ave-Gallaudet U. When they found out Gallaudet might be dropped from the new name, students at the school started a petition, collecting more than 1000 signatures. The stop serves more than 7400 riders each weekday. A deaf, illiterate man in Turkey is facing 25 years in jail for allegedly supporting terrorism. What's the evidence against Mehmet Tahir Ilhan? Half a lemon wedge. A Turkish prosecutor says the Kurdish man is a terrorist because he had the slice of lemon when he was arrested during a demonstration- and lemon can ease the effects of tear gas. Ilhan is officially charged with associating with the Kurdistan Workers' Party which is an illegal organization in Turkey. He works at a bazaar in the city of Mersin. Through sign language Ilhan told the court that he got caught up in a demonstration where he was arrested. A deaf man missing for a week has been found in Cleveland. WEWS-TV has a video report posted below on DeafNewsToday.com. Read about the intersection of the arts and deaf community in Rochester here. We told you yesterday about the search for attackers in Perth, Australia of a deaf man. They jumped Seow Oh from behind at a train station and left him with possible permanent sight damage. Police now have an 18-year-old in custody for the daylight attack. Security cameras revealed his identity. The alleged attacker has a Wednesday court date. Police are still looking for second attacker. Police are searching for a missing deaf man in Cleveland. Joe Johnson hasn't been heard from for a week. His family reported him missing after learning his roommate hadn't seen him for days. They describe Johnson as 6’1″, bald, black male, weighing 190 pounds, with brown eyes. An article about the uncertain future of the Deaflympics here. Senator Harkin pleaded with Defense Secretary Panetta today during a Congressional hearing to allow a pilot program to go forward that would give individuals with disabilities the opportunity to serve in the military. He particularly mentions a deaf man. Police are hunting for two men who attacked a deaf man at a train station in Perth, Western Australia. It happened in middle of the afternoon as he got off a train and left Seow Oh with possible permanent damage to his sight. Two young me pushed Oh to the ground and repeatedly kicked and punched him until two passersby intervened. A video of the police news conference is posted below below on DeafNewsToday.com. "My name is Dee Dee Fenwick and I am the sister of Mark Gobble. Our family, including Mark's wife Leslie, would like to to take this opportunity to thank the Austin Police Department for their help and cooperation in finding and apprehending the hit and run driver. We are overwhelmed with the generosity and love of the community, friends and family. At this time, our family has no further comment and we would appreciate your respecting our privacy as we prepare for Mark's funeral. Thank you." 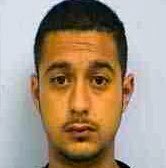 KXAN-TV in Austin says the suspect arrested in the case, Roman Jesus Turullos-Gonzalez, has faced charges in the past, including misdemeanor possession of marijuana and felony possession charges from 2010. The hit-and-run suspect turned himself in Tuesday night and was out of jail on a 30,000 bond this morning. KXAN-TV has a video report posted on DeafNewsToday.com about the accident that killed a teacher at the Texas School for the Deaf. You can read the story here. The man accused of hitting and killing a deaf jogger is out on bail. Roman Jesus Turullos-Gonzalez was arrested and charged in a fatal hit-and-run crash that left Mark Gobble dead. Bail was set at $30,000. Police say Roman Jesus Turullos-Gonzalez lost control of his Toyota truck this past weekend, hit Gobble, then fled on foot after abandoning the vehicle. The 20-year-olde lives only a couple of miles from the scene of the accident. Austin police say more details will come out at a press conference this afternoon. Gobble's funeral takes pace tomorrow. A documentary about the deaf debuts at a UK film fest this Sunday. Lost & Sound will show at the Sheffield Documentary Festival. In Lost & Sound a music reviewer has to relearn how to listen to music, an accomplished cellist and pianist lost her hearing to meningitis as a child and deaf dancer Emily gets into an important European dance school. Director Lindsey Dryden is partially deaf herself. Find out more about the showing here. The trailer for the film is posted below on DeafNewsToday.com. A list of award recipients at next month's NAD conference here. A report on graduation at the Willie Ross School for the Deaf in Longmeadow, Massachusetts here. Austin Police are looking for Roman Jesus Turullos-Gonzalez. He is wanted in connection with the hit-and-run accident that killed Texas School for the Deaf teacher Mark Gobble. Turullos-Gonzalez is facing charges he failed to stop his Toyota truck and render aid when he allegedly hit Gobble, who was out jogging Sunday morning. Police found the vehicle abandoned just a few blocks away. Gobble's birthday would have been the next day. Closed captions are now available on the Google+ video player. Google Accessibility Engineer James deBoer made the announcement on his Google+ account. Closed captions can be activated in existing videos with captions uploaded by selecting the ‘CC’ button on the bottom corner of the video screen. The full instruction page is here. C-Section babies are more likely to fail their first hearing test. That's according to new research out of Rambam Medical Center in Haifa, Israel. Researchers say babies delivered by Cesarean section are three times more likely to have a temporary hearing loss for about 72 hours because of fluids in the middle ear. The first hearing test, performed shortly after birth, is known as the otoacoustic emissions test. The researchers looked at more than 1600 births and found 7% of those delivered vaginally failed that test while 21% of the C-section babies failed it. About a third of all births in the U.S are by C-Section and researchers suggest waiting 48 hours before testing the hearing of those children. You can read details of the study in the journal Pediatrics here. Interviews with people who are up for election to the NAD board here. Police in Windsor, Ontario is using a US language bank to provide it with video relay interpreters. A year ago, a 30 day trial run with Language Services Associates went well, according to officials, so now police will use the Pennsylvania-based service on a regular basis. Police in Williamsport, Pennsylvania tazed a deaf woman this past weekend after she held a health care worker at a group mental health home for a half hour with a seven inch knife. Employees called the police, but did not have anyone who could communicate with Lareta Sandler in sign language. She now faces assault charges. The aid worker was shaken but unharmed. Here's some background on the teacher killed by a hit and run driver in Austin from KXAN-TV. Mark Gobble inspired many by climbing Mount Everest, was featured in a documentary back in 2003, and served has principal of the high school on the campus of the Texas School for the Deaf. You can read the story here. A teacher at the Texas School for the Deaf was killed in a hit-and-run accident yesterday. Mark Gobble was deaf himself. Police say the driver struck Gobble, got out to look, and then drove away. They found his Toyota pickup, but not the suspect. Here's a video report on DeafNewsToday.com from KVUE-TV. The Pan-American Games for the Deaf start Tuesday (June 12) in Sao Paulo, Brazi and run through June 24. There are 14 different sports taking place over the 13-days, featuring 2500 athletes and officials representing 15 countries. A look at today's Rochester Deaf Festival from a local paper here. South Dakota's governor will not speak at this year's NAD. Dennis Daugaard withdrew after complaints arose about his views on gay marriage and other issues. NAD responded to the complaints with this video posted below on DeafNewsToday.com. The magazine Mental Floss has gathered a collection of videos showing children having their cochlear implants turns on here. A Canadian swimmer is heading to Sao Paulo, Brazil for the Pan-American Games for the deaf. Read the story here. An interview with a Kent State baseball player who wears hearing aids on the field here or watch a video of him below on DeafNewsToday.com. His dad is the Cleveland Indians play-by-play announcer and his team plays this weekend for a shot at advancing to the College World Series in Omaha. A retired Gallaudet professor has died. Adele Krug taught at the DC school for 20 years, but passed away following a stroke at the age of 104 in Virginia. Originally from Minnesota, she suffered from mumps at the age of 8 a nd lost some of her hearing. With the help of hearing aids, she was able to hear until she lost her hearing entirely at the age of 93. Krug attended the Minnesota School for the Deaf where she learned sign language and graduated in 1930 from Gallaudet University. She went on to teach at the Rhode Island School for the Deaf before marrying Gallaudet biology professor and dean of men Walter Krug. When news of the attack on Pearl Harbor came over the radio in 1941, she interpreted the news to students at the school. She retired from Gallaudet in 1975. A star athletes from the Tennessee School for the Deaf is dead. WBIR-TV has a video report posted below in DeafNewsToday.com. Or read the story here. An Ohio school is looking for a new principal after the resignation of its current one. Lou Kindervater has served as the principal at Millridge Center for Hearing Impaired in Highland Heights for 35 years. The program serves students from age 3 to fifth grade. It's a joint effort by several school districts in northern Ohio. Today is the last day of classes for students at the Millridge Center. A look at this year's graduation of the North Carolina School for the Deaf class here. CBS's show Face to Face went to Gallaudet University to interview Jerome Singleto, the fastest amputee in the world who is training to compete in the Paralympic Games taking place in London. The video is posted below on DeafNewsToay.com. Or read the transcript of the interview here. CaptionThis hopes to turn today (June 6) into a day of support of Internet and social media captioning. The group's protest video over the lack of captioning by new media is posted below on DeafNewsToday.com. A UK hairdresser is planning a special day to bring together both deaf and hearing hairdressers, makeup artists and performing artists. Jean West will host The Hair Show at her Brighton salon, the Shore Pub, this Sunday (June 10). For more information, click here. An Atlanta-area theater is presenting The Miracle Worker starting Friday. The New London Theater in Snellville will continue performances through June 24. For more information on the Helen Keller story, click here. The Kentucky Baptist Conference of the Deaf meets this Friday to Sunday (June 8-10) at Campbellsville University. For more information, click here. William House developed the cochlear implant in the 60s. Oregon live takes a look at what he's doing now in an article here. An interview with deaf comedian Andrew Fisherhere. The 4th Annual Rochester Deaf Festival takes place this Saturday (June 9). Here's a video with more information. The Korean Herald tells the story of a 40-year-old Seoul native who has learned several languages despite being deaf. Read the story here. Maryland School for the Deaf grads ready for new challenges. Read the story here. The New Mexico School for the Deaf held its graduation ceremony this week. Read about it here.